Thanks to Alison Cavatore at Global Living Magazine for publishing this piece on her worldwide expat resource site. In the article, I share my (two!) experiences of having surgery in South Korean hospitals. Enjoy! The distance between one’s gallbladder and their right knee is not very far from a big picture perspective. But, the circumstances that brought me to a South Korean surgeon’s table in 2018 are perhaps wider than the years between it and my first attempt at going under the knife eight years ago in The Land of Morning Calm. While both are typically laparoscopic procedures—gallbladder removal and meniscectomy, the procedure where a surgeon removes a torn portion of the horseshoe-shaped meniscus supporting the knee—are considered minimally invasive, any amount of “invasion” can be a harrowing experience. The anxiety only builds when such procedures are conducted in a foreign country, complete with their own sets of unforeseen cultural standards, a whole other suite of written and unwritten rules. It was one of these unforeseen cultural standards that diverted my path in 2010 toward returning home to the United States early, instead of being cut completely open. It’s also an important piece of information for anyone else who expects to stay overnight in a Korean hospital: Bring your own chopsticks. Or, forks, if chopsticks just aren’t your thing. I did not know this when, on a chilly late March afternoon nearly a decade ago, I was admitted to Bumin Hospital in Busan for gallbladder surgery. But, not the laparoscopic procedure I would eventually have back in my home state of New Jersey. The old school kind. The kind that cuts you open. I sat on my hospital bed in a room filled with Korean patients and me, the lone foreigner in the whole Korean world it felt like at the time. The translator spoke with the nurse amid blood being drawn, papers being signed and a television program being viewed at an uncomfortably-loud volume. In it, it appeared a shaman of some kind was circling a woman who kept moaning and shouting, as if an exorcism was taking place. The urge for my own soul to leave my body for a few weeks while all this was going on was rising fast. Finally, the translator turned to me and spoke in English. “Where are your chopsticks,” she asked. It seemed like such a strange question that I thought I must have misheard her, or there had been some error in translation. But, no. I needed to provide my own cutlery, my own towels, my own water bottle (thankfully, the hospital provides the water). It was at that time as foreign an idea that I could imagine. It also gave me the opportunity to think twice. My mind was made up as soon as I told the translator I could walk back to my apartment to collect the requested items: I was not getting surgery in South Korea. I was not even staying in South Korea. I was going home. 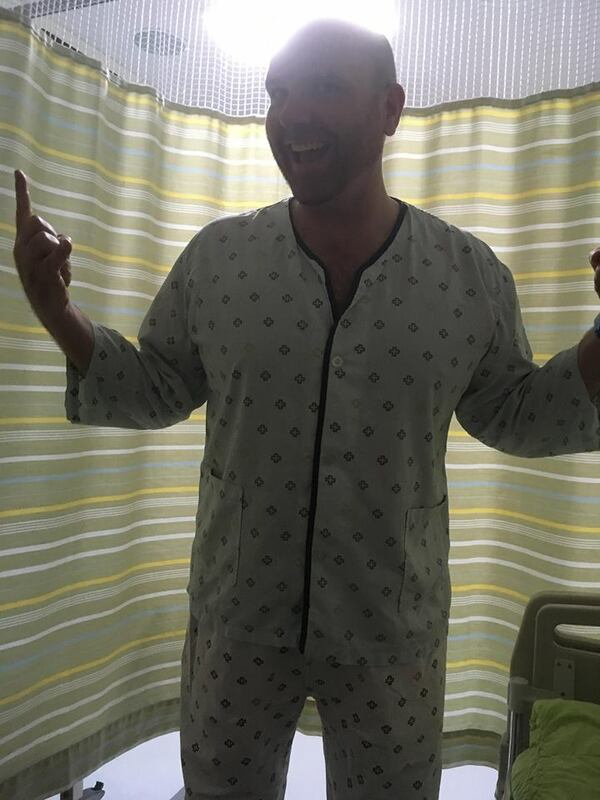 A month later, as a fresh gallbladder attack doubled me over in the small hours, my father drove me to the local hospital in my suburban New Jersey neighborhood. Two days later, I had laparoscopic gallbladder surgery, which carried with it its own set of problems that resulted in a longer-than-usual procedure and subsequent recovery. But, at least I had family and friends to help me, listen to me whine and take care of me. For that alone, I hope I could be forgiven my decision to back out of gallbladder surgery in South Korea in 2010. I lacked a strong social network, having arrived less than two months before. I had a thin grasp on reading the Korean language, and almost no idea how to speak it. I was adrift in a system where it remains standard procedure for the majority of basic necessities—such as helping with feeding, changing undergarments, wiping a prone patient’s backside—to be done by a family member. That family member, by the way, typically stays with the patient the entire time (which is typically significantly longer than any American hospital I have known) sleeping on a cot pulled out from under the patient’s bed. I knew then, and still know, that I made the right decision. My Korean world was far different when I had meniscus surgery at Haeundae Paik Hospital in July. I returned to Busan in February 2013 and spent the next several years as first an English teacher, then the foreign editor for the city’s official English newspaper. I host a pair of weekly radio segments on the city’s English radio station, have performed in several theater productions, traveled around the country and several other countries. I learned more of the language (though, I hardly deserve the boilerplate “you speak Korean very well!” I get from some folks when I even just say “thank you” in the native tongue). I met a wonderful, beautiful woman, another expat who has called Busan home since around the time I decided gallbladder surgery here might not be the best idea. I have the support system in 2018 that was nonexistent for me in 2010, the support system that is essential for anyone about to have any surgical procedure done, especially in a foreign country. That is probably, for me, the most important part to have lined up before going under the knife in South Korea. It’s also important to leave one’s idea of standard operating procedure in their own country at the door. 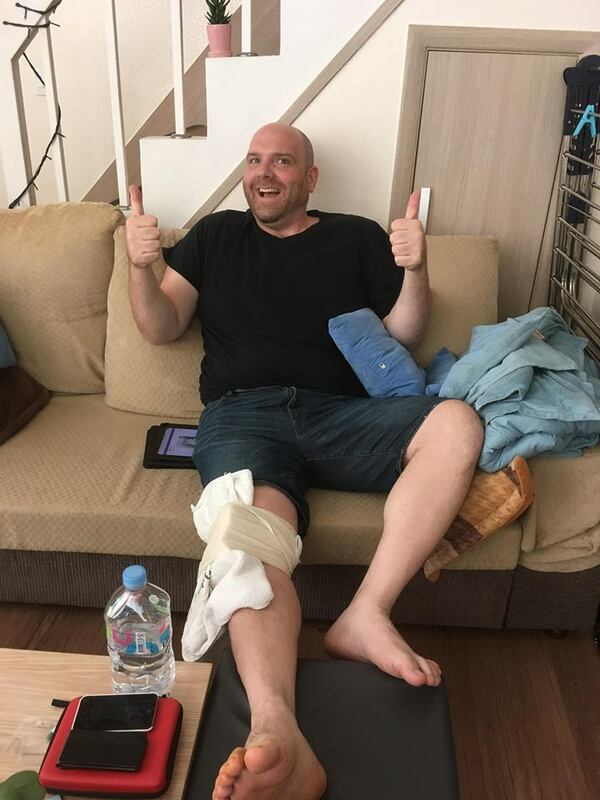 In South Korea, I was originally told my meniscus surgery would include a five-to-seven day hospital stay, for a procedure that is usually outpatient in the United States. Is one better than the other? I think the sweet spot is somewhere between, which is why I was grateful to have a doctor who was flexible with this. I ended up staying in the hospital only two nights. While it’s important for patients to be flexible with their ideas of what a proper hospital experience entails, it’s equally important to be an active member of the process. Some larger hospitals have full time translators on staff, many won’t. Whether you have a hospital translator, a Korean-speaking friend or an outside translator on hire, ask questions. Ask enough questions that you need to in order to be as knowledgeable as you would be in your native language. If something seems confusing or does not make sense, it might just be a cultural difference. Or, not. Ask questions. The proof is in the final product. Weeks after having the surgery, my stitches long since removed, I can truthfully say I am glad to have had the procedure. Not only am I walking with considerably less pain (which is getting lesser by the day), I did not have to take out a second mortgage to have the procedure done. Indeed, my surgery, hospital stay and subsequent take home medicines cost me about as much (520,000 won, or about $460) as the MRI at another hospital that was the deciding factor in having the procedure (about 500,000 won). All of this from South Korea’s National Insurance. 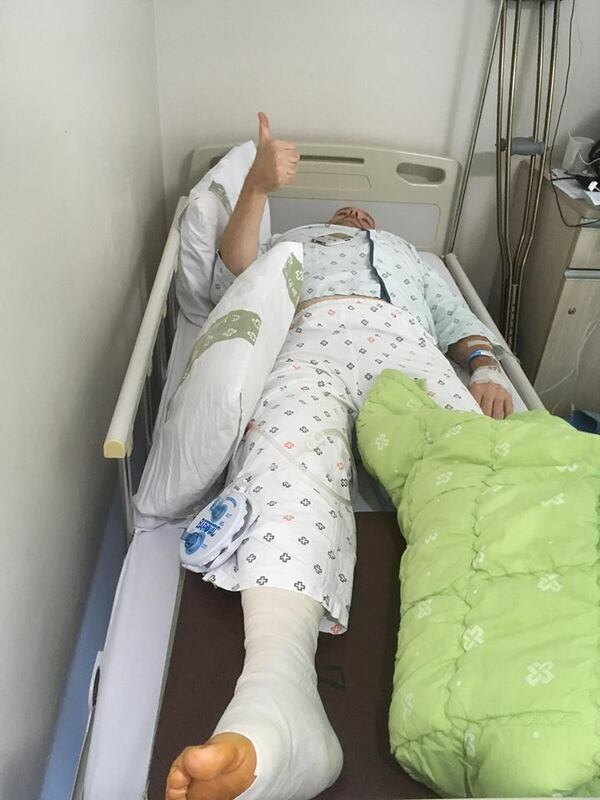 Ultimately, surgery for an expat in South Korea will be a personal decision. It will also be a decision that hopefully is not made in urgency but with careful planning and consideration. For me, it was an experience that was beneficial and relatively pain-free (considering the circumstances, of course), provided I made sure I was flexible, patient and remembered that the world is a very big place. JPDdoesROK is a former news editor/writer in New Jersey, USA, who served a one-year tour of duty in Dadaepo/Jangnim, Saha-gu, Busan from February 2013 to February 2014. He is now a teacher in Gimhae.